OpenArtCode Montecarlo took place in October 2010, at the Auditorium Rainier III in Boulevard Louis II 98000 Monaco France (Principality of Monaco). 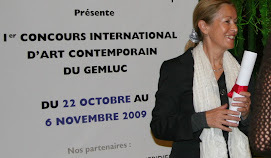 The exhibition was part of the event GemlucART organised by Gemluc. GEMLUC (Groupement des Entreprises Monegasques dans la Lutte contre le Cancer) is a charitable association founded in 1973 to fight against cancer.